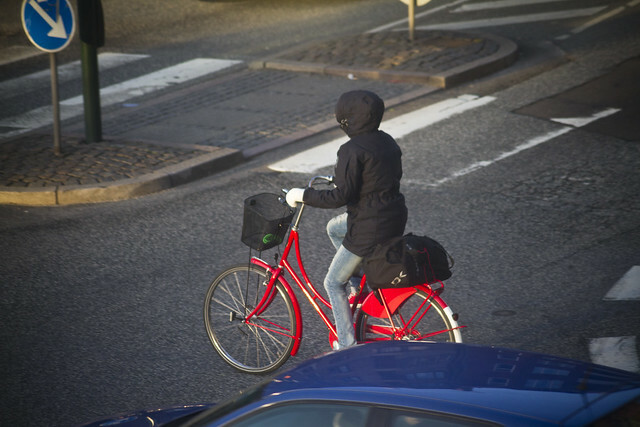 Here's another shot to add to our collection of Red Coats on Bicycles. So lovely. 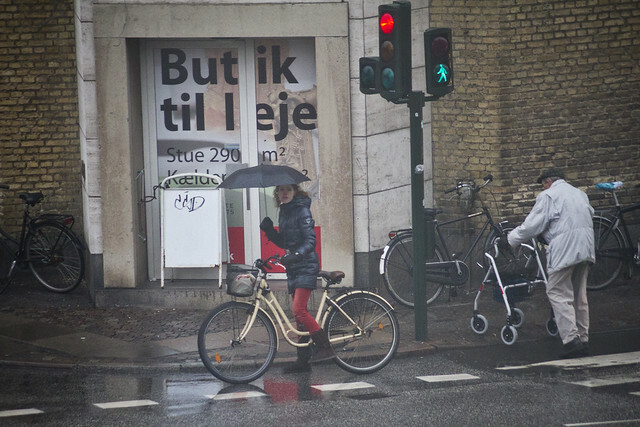 Red pants on a rainy day add a certain puncuation mark on the urban landscape, complementing the umbrella. 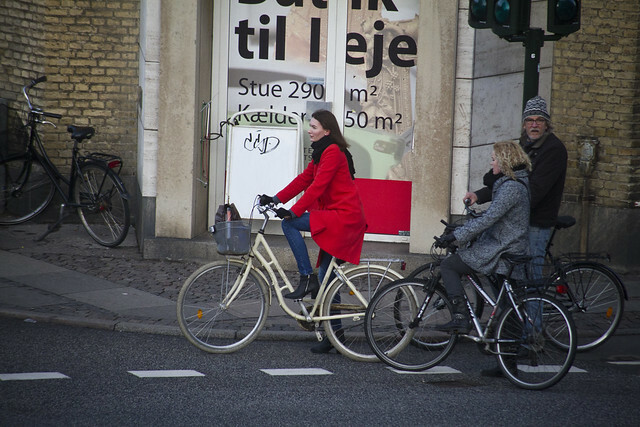 A red bicycle can do the trick all on it's own.